Much of the stress experienced by students is caused by anxiety and nightmares about turning up for an exam unprepared. 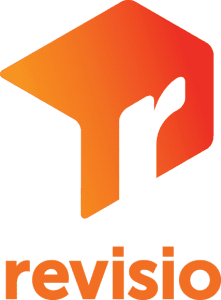 Revisio is a web app that takes this stress away by thoroughly preparing students for their GCSE exams and giving them ongoing feedback on how well prepared they really are. GCSE students have been working to a timetable for eleven school years until suddenly they have as many as 25 exams to prepare for! They have little experience of how to schedule their work load, they don’t necessarily know if their revision is on target, and they may be unclear about the scope of what they will be examined on. Having had three children go through GCSEs in consecutive years, I recognised the need for a user-friendly tool to help students ‘get ready’ for their exams. Instead of students spending their time planning, Revisio’s powerful algorithms constantly recalculate and tell students what they need to revise and whether they are on track. Simple setup, direct links to resources and past papers make it the one-stop-shop for GCSE exam preparation. We created Revisio to help students plan and manage their studies to be ready to excel in their GCSE exams – it tells them what they need to do and when they need to do it.